WASPS lock James Gaskell is set to clock up 100 appearances for his side ahead of their final Premiership Rugby Cup fixture of the season, when they take on Worcester Warriors at Sixways on Sunday (3pm). Scrum half Joe Simpson adds a boost to his side having recovered from an ankle injury in time for the weekend’s clash, and is set to replace Dan Robson in the side – given his involvement with England in the Six Nations. Ashley Johnson will captain the side at number six, with Ben Morris and Nizaam Carr completing the back row; coming in for the trio of Brad Shields (England), Nathan Hughes (England) and Thomas Young (Wales) – who are also on international duty. The second row is made up by Charlie Matthews and Gaskell, coming in for Joe Launchbury (England) and Will Rowlands. Ben Harris packs down with Tom Cruse and Jake Cooper-Woolley in the front row. 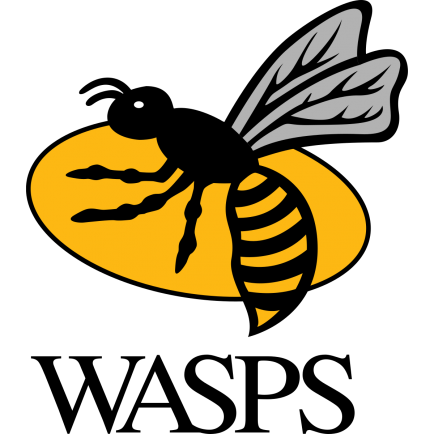 Lima Sopoaga and Simpson form the half-back pairing, with Gaby Lovobalavu and Juan de Jongh offering Wasps an experienced centre partnership. Marcus Watson replaces Elliot Daly (England) to join Rob Miller and Josh Bassett in the back three. Another returning to the side is Tommy Taylor, who was out after a spell with concussion, and will feature alongside Tom West and Joe Atkinson – the trio making their first appearances since November. Wasps’ forward coach Andy Titterrell warned his side about the threat that Worcester could pose on Sunday. “Worcester have had a couple of decent results in this competition and they recently pushed Saracens so they’ll be a difficult side to face,” he said. “Both teams will be wanting to build a little bit of momentum going back into the league so it’s going to be a fiercely-contested match from every angle. “That’s what we will prepare for, that’s what I expect, and I am sure that is what we will get.